Gabon on Sunday announced a ban on opposition leaders, including former top African Union official Jean Ping, from leaving the country in what it said was a "temporary, administrative measure". "This measure follows inflammatory comments by Jean Ping on August 18 when he called for public disorder, rebellion and insurrection," interior ministry spokesman Jean-Eric Nziengui Mangala said. Ping, a 74-year-old career diplomat, was narrowly defeated by incumbent Ali Bongo in Gabon's August presidential election and accused the administration of electoral fraud. A number of demonstrations have been held in support of Ping in cities around the country, leading to numerous arrests and clashes with police in the capital and the seaport of Port-Gentil. 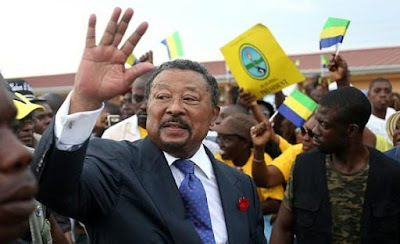 On August 18, Ping called on the Gabonese "to rise up as one to solemnly mark (his) rise to power". Mangala said the "temporary administrative measure" is aimed at leaders of political parties and others at the heart of the Coalition for the New Republic (CNR), which supports Ping. The directive has affected former prime minister Casimir Oye Mba, who was scheduled to leave for France on Friday. "At the airport, the police told me I couldn't leave and that they were only following orders," he said, adding that it was the third time that such a measure has prevented him from leaving Gabon.